After his human's death last fall, all brokenhearted Tater needed was a nurturing home where he could heal, but over the last six months he's been shuffled around to different temporary homes instead. Now Tater is once again in desperate need of a new place to lay his head. 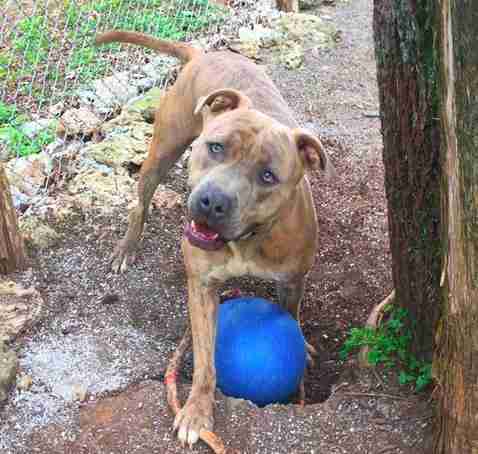 "Tater came to us last fall under very tragic circumstances. 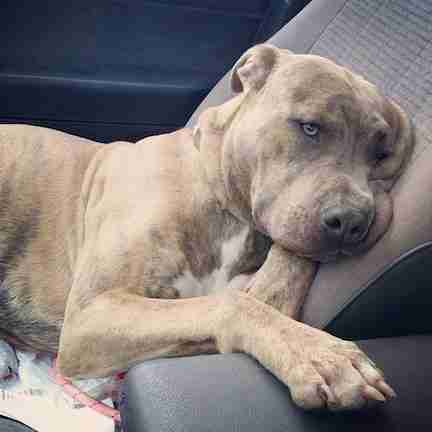 His owner took his own life, and Tater was in the car with him when he did so. After being found, he was dumped in an apartment and left all alone for three days with no care. Animal control in that county finally came and picked him up, and he was going to be put down because none of the family would take him in." 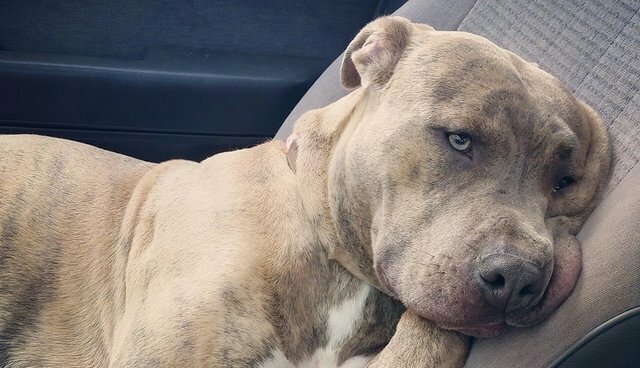 Once Pittie In Pink took over Tater's care, they found him a foster home. After his time with that foster family ended, he went to board at a kennel in Nashville, but his deadline there is coming up - he has to move out to make room for other dogs. All Tater needs is a loving, stable home where he can be the only dog - and some kind humans who will help him work through his grief and anxiety. "His situation becomes very difficult if we do not find a foster or adoptive home before that time period runs out, as he will have no certain place to go," the rescue posted on Monday. "We WILL all celebrate together when Tater gets his happy-ever-after! Because he absolutely will...we will keep fighting for him until he does." Anyone interested in giving Tater a loving home should contact Pittie In Pink.